Free customization - add your park or community name! Maximum of 20 characters/spaces. 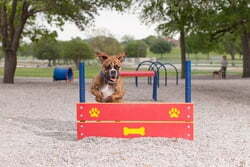 Eight inch jump height is ideal for small/medium dogs, and dogs new to agility. 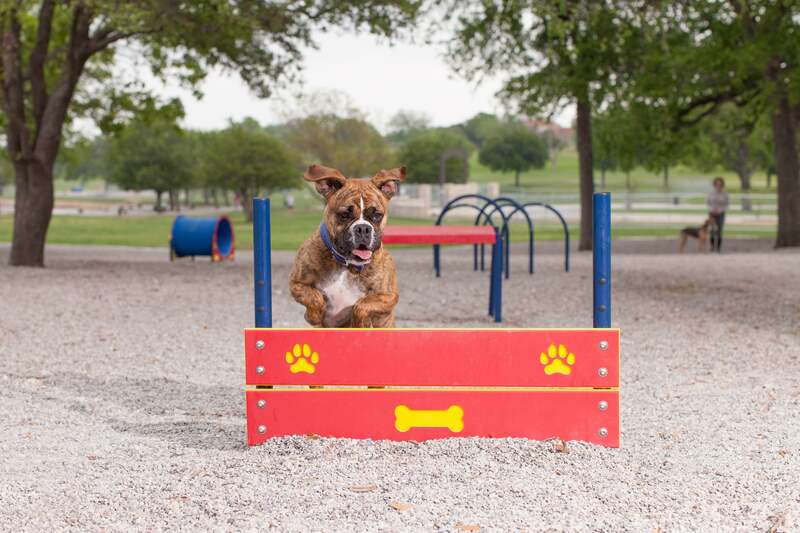 Use a treat or favorite toy to help teach your dog to jump over the plank. Eco-friendly planks are created from post-consumer recycled polyethylene plastic (milk jugs, shopping bags, etc.). 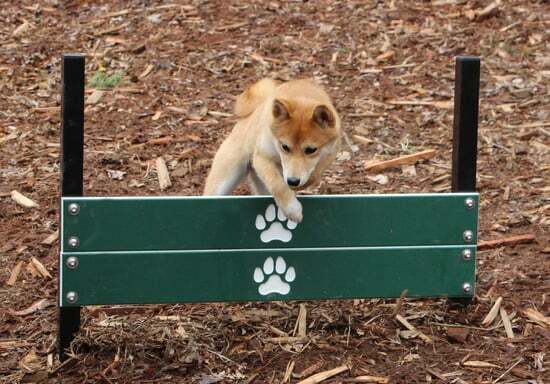 Paw details are precision engraved for added depth perception. Features heavy wall (and rust-resistant!) aluminum posts and stainless-steel, vandal-resistant hardware.